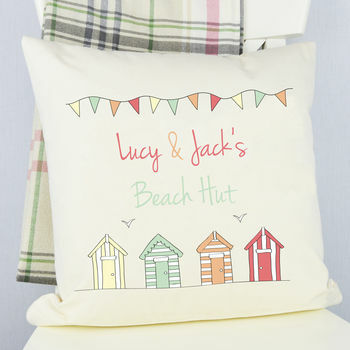 Our Personalised Beach Hut Cushion is printed with Bunting and Beach Huts. 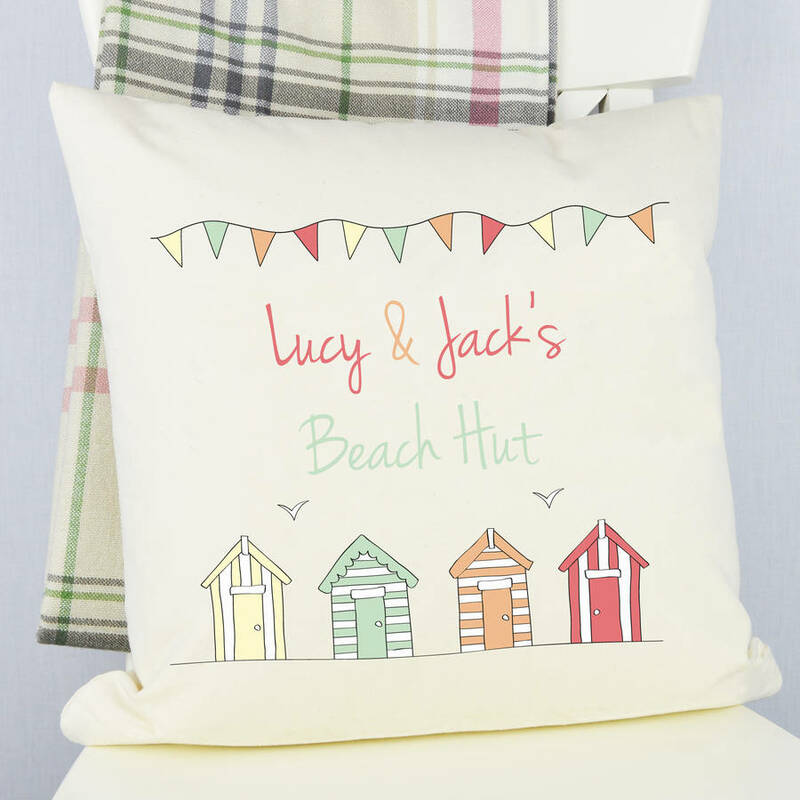 Should you prefer this cushion to be printed with 'Home' or 'Boat', instead of 'Beach Hut' simply type this in to the personalisation box when ordering. Perfect for a unique and personal Wedding or Anniversary gift. It also makes a perfect Valentine present! The back of the cushion is plain and comes complete with a plump inner. The inner is made from polyester.